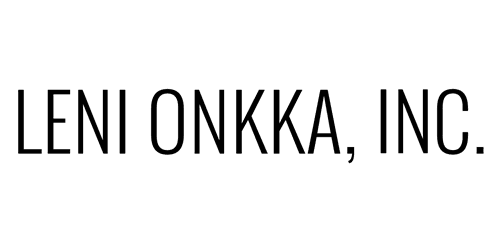 Individual Clearing Work - Leni Onkka, LLC. When you schedule a clearing session we will work together on the phone to transform and balance your energy field. Changing your energy to a higher, positive vibration creates new results in your life. You will direct the topics we work on- nothing is off limits or too trivial. Holidays and spending time with your family. We will clear as many issues as we can in each session. One session often brings miraculous results. However, most of my clients find clearing so useful that they schedule regular clearing sessions. Just like getting the oil changed regularly in your vehicle ensures optimal engine performance, regular clearing ensures amazing ease and flow in all areas of your life. After a session you may feel FANTASTIC, like a new person, like something has been lifted from your shoulders, or you might also feel a little sleepy because so much energy is clearing from your field. For best results, drink lots of water and plan to get a good night’s sleep after your clearing session. Did you know that the day of your birth impacts the course of your life? Using an ancient system of knowledge created by thousands of years ago, I can help you understand yourself more fully and determine the key challenges, blessings, and opportunities which each year will bring to you. This report can be used to harness influences and provides insight for the appropriate time to take action or to lay low until an influence has passed. You will know when you potentially may meet a key partner in your life, make more money, get married, have a child or release your relationship and when to go about it with the most beneficial energetic influence for you. Your Destiny report is based on your birth date and changes every year. I offer personal interpretations of Destiny and Love Card Reports. The Inergetix-CoRe System™ offers the most complex, yet simple energetic balancing. For example, during times of growth, we might experience “growing pains” felt in many forms. Sometimes, in fear of having to face these issues, we keep ourselves stuck in situations that no longer serve our highest good. With informational balancing and the support of the CoRe System™, you’ll be sent energetic frequencies to support you and to bring you back into balance and empowerment. CoRe Biofeedback continually aligns your body to your intentions multiple times per day every day you are on the program. Learn about my Core Group and Custom Core Balancing here.